We help hundreds of families each year with preparing their taxes. Our goal is to inform each one of our clients on how to legally reduce their taxes to the lowest possible level. By proper planning and creating a unique strategy for each client, we are able to put more money in their pocket each year. If you would like more information about how we can help with your unique situation, give us a call at (678) 707-8044. Smart tax planning has already begun and time is running out to make any significant moves. Here are five quick and easy tips to consider before the end of the year. 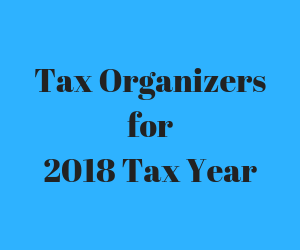 Project taxes: Since the majority of the year is over, you should have a good handle on if things were similar to last year or if there were some major changes in your specific situation. If you owed last year, you may want to make an extra payment before the year end to reduce or eliminate any under withholding that happened in 2015. Retirement Contributions: If it looks like you might owe some additional tax, determine if you can increase 401(k) contributions to reduce your income. If your plan administrator can't get it done in time, you may want to consider making an IRA contribution if you qualify. Controlling income and expenses: After determining if you may have a tax bite in April, you may want to consider accelerating deductions this month or deferring income into January. Donate to charity: Over the Christmas holidays is a great time to clean out the garage, closet or basement to make contributions to a local charity. Make sure that you keep good records of any items that were donated and their values. You will need this come tax time for your deduction. Watch CSPAN: No, really...the past few years we have had to wait until the very last minute to get some final tax extenders passed by Congress. You never know, they may actually be giving you a Christmas gift after all! "The difference between tax avoidance and tax evasion is the thickness of a prison wall."